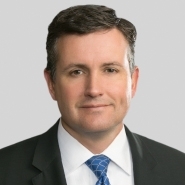 Partner Brett Thornton will participate on a discussion panel with BDO Columbus at their next Manufacturing and Distribution Industry roundtable discussion focused on trends, transactions and tax reform. A diverse set of panelists will provide insight on the key topics and market trends that will dominate the industry in 2018. They will share lessons learned around M&A transactions and discuss how the landscape is changing. We will also look to engage the audience in a collaborative discussion on the impacts of tax reform and the future of transactions over the next few years. For more information and to register, visit BDO's website.